As the nights draw in and the weather gets colder, you might be tempted to stay in where it is warm and cosy. By all means, snuggle up with the kids in front of a Christmas movie, with a mulled wine and a hot chocolate for the little ones. 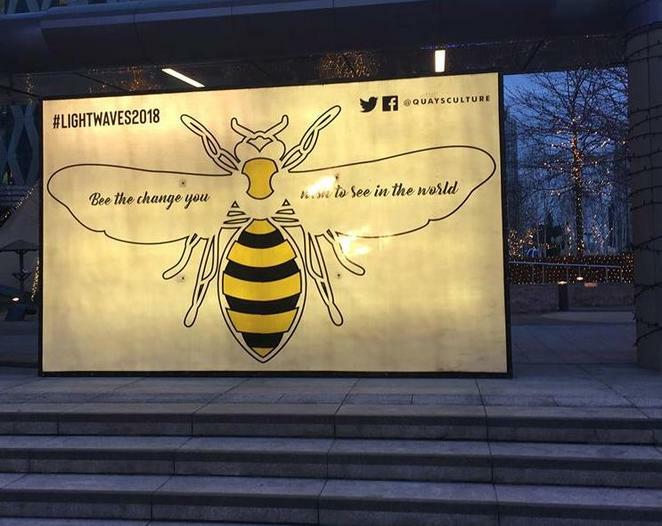 But you won't want to miss a trip to see Lightwaves 2018 at MediaCityUK in Salford Quays. It is an outdoor interactive light festival, which is perfect for brightening up the winter evenings and tiring out the kids.... but it won't be around for long. This completely free exhibition can only be viewed when the sun goes down, so don't turn up too early. Instead, rock up around dusk before the kids get too tired and enjoy the views of the Quays as the sun sets; before heading out to explore everything that Lightwaves has to offer. There's nothing worse for children than art they can't touch, but families will love how interactive many of the sculptures at Lightwaves are. If you're short of time, and just want to capture the best bits, head across the bridge from The Lowry Theatre to the tram stop. There you can see a majority of the installations by the water and throughout the Blue Peter Garden. If you have more time, it's worth a look at them all, and it won't take too long to do if the kids are amenable. If you want to see more, you can also find sculptures inside and outside the Lowry Theatre, inside the Lowry Outlet, and by the water too. It's a wonderful excuse for families to spend more time exploring Salford Quays, and whilst you're there, why not tie it in with a little Snowman hunting too (as part of the Walking with the Snowman Trail). 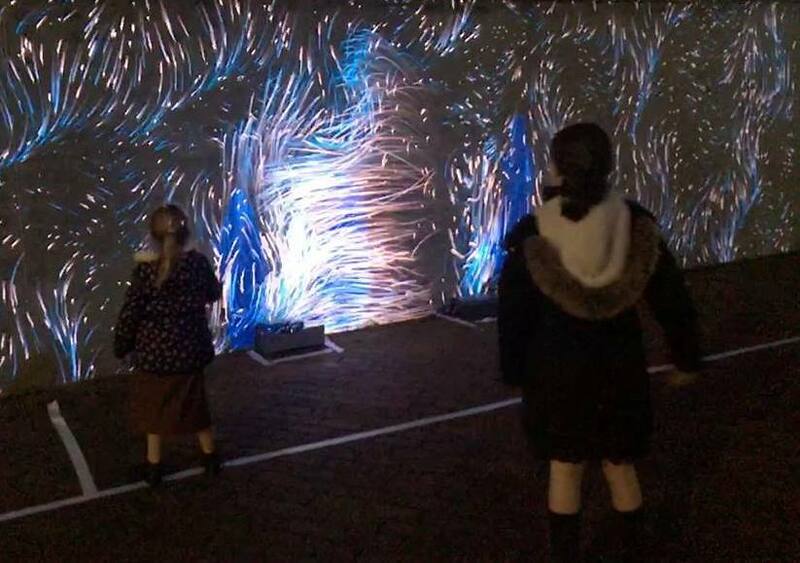 A big highlight for my children at Lightwaves 2018 was the Interactive Wall, which is located just across the bridge from The Lowry Theatre. Lights are projected on to the digital wall and take the shape of whoever is stood in front of it. The more the kids jump and dance around, the crazier and brighter the projections get, and it just doesn't get boring. This stunning installation kept my three kids (ages 10, 9 and 5) entertained for ages. I even joked there should be a bar set up next to it just so the grown-ups could make the most of it. Other sculptures worth a visit have come all the way from Blackpool, showcasing their most popular illuminations. 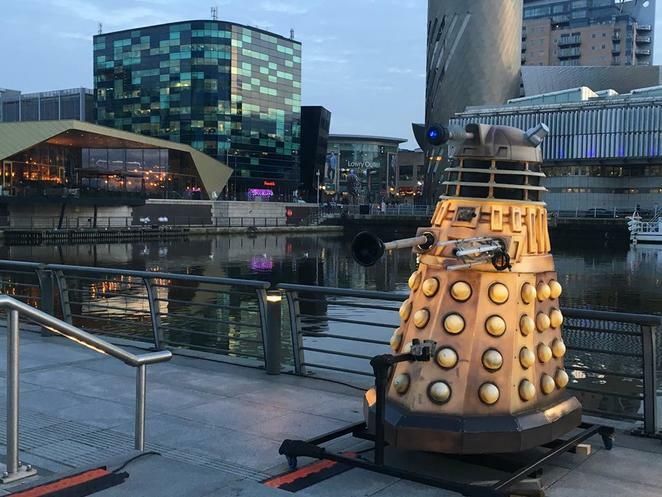 A big hit for Doctor Who fans will be the awe-inspiring Daleks. They move and say "exterminate" and frankly had me a little nervous as they're a bit too realistic. There's also a Tardis (although if you're after a more realistic version, pop inside the BBC reception area to see a more impressive one, perfect for a photo op or two). There's also a surfboard which if rocked side to side, changes the colours of the wave encasing it.... whose kids wouldn't want a go of that? If you have any children who just love the sound of their own voice, head straight to see Spectrum, which is located just outside The Lowry Theatre. People can stand at each side of the installation, and speak (or shout) to each other, sending their messages through light, as the chain of circular lights is activated by voices. There is lots more to see (and do) this year at the Lightwaves exhibition. 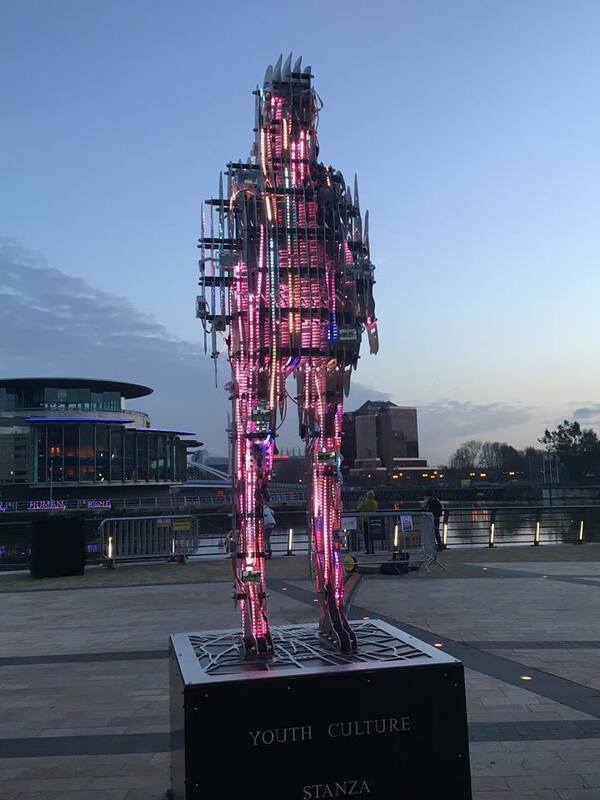 Returning installations to Salford Quays for 2018 include Heart Beat, Illuminum and The Squirrel. 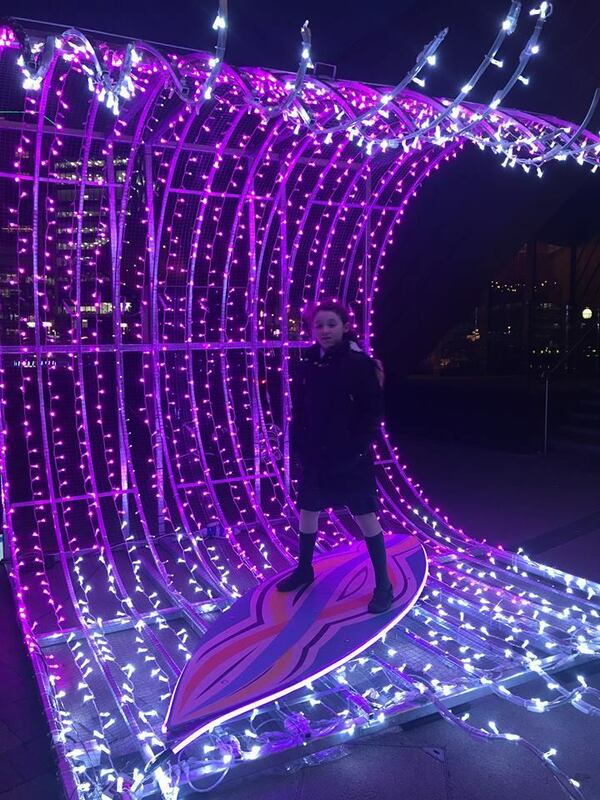 Lightwaves 2018 is on daily from 4pm until 10pm at MediaCityUK, Salford Quays from Friday 7th December until Sunday 16th December 2018, so make sure you catch it before it's gone. The interactive wall sounds like a wonderful experience. I've seen similar things before and they are very engaging.